My mother used to complain about traveling. She was not interested at all when I tried to take her along on one of our trips. I don’t know for sure the exact reason. Perhaps the hassle of traveling or weak knees. Nonetheless, now she is a changed person and she seems to be keen on going around as long as it’s not too hectic for her. Taking cue from this, we planned and were on a road trip to Ipoh with my mother and brothers in the last school holidays. Of course, with my wife, J and K tagging along as well. 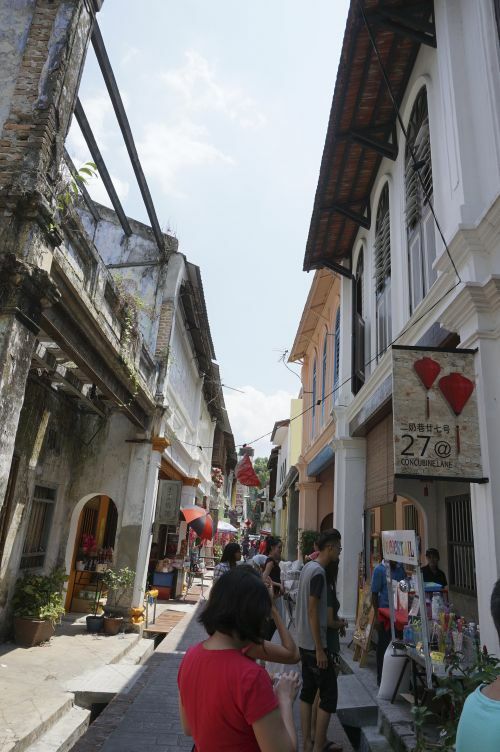 Unlike our Taiping trip made three days before which was quite impromptu, the trip to the capital of Perak state was planned out with some rough itinerary in mind. 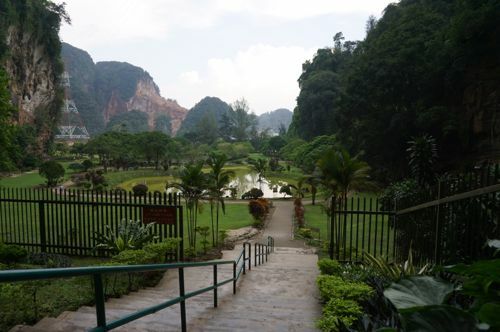 As with other trips, the Ipoh trip was fun and J and K had a good time with their grandmother and uncles. With some laughter, quarrels and snoring sprinkled along the journey. We started our journey early in the morning and had dim sum breakfast in Ipoh after a 2-hour drive. I never heard of this place. Out of recommendations from my Ipoh friends, I came to know about this place. It’s not hard to find out, after little research, Chin Han Pet Soo has garnered rave reviews and excellent rating on Trip Advisor. 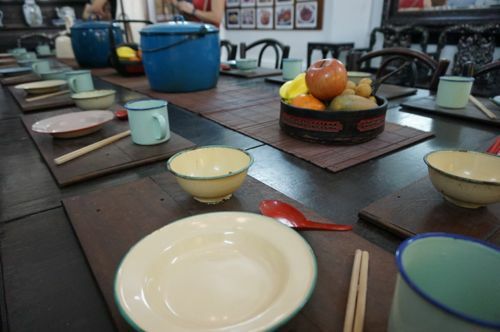 Founded in 1893, Ipoh Han Chin Pet Soo used to be a mysterious place. 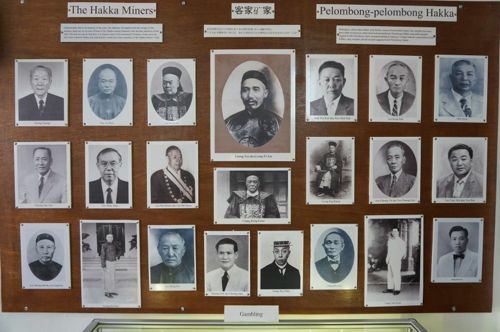 It was a private club for Hakka tin miners during its heyday. And only members were allowed to enter. Now, the public is being given the privilege to take a glimpse of what the former private club looked like from the inside. Stepping into the club is like traveling back to the past through a time machine into the early 1900’s. Many furniture and fixtures are from the old days. Access to Chin Han Pet Soo is by guided tours only. Other than that, no entry is allowed. Right after entering the main entrance, one will be captivated by a large dining table set with the old cutlery sets of bowls and chopsticks. The huge table is sandwiched by two large mirrors on the walls on both sides. The tour guide assigned to our group is very friendly, informative, and humorous. She explained to us patiently what happened in the old days especially about the movers and shakers of Ipoh’s tin mining industry. How tin mining was done and a sneak peak into the life of the tin workers then. The guided tour is well planned and implemented. We moved slowly from section to section, floor by floor. In total, there are 3 storeys. 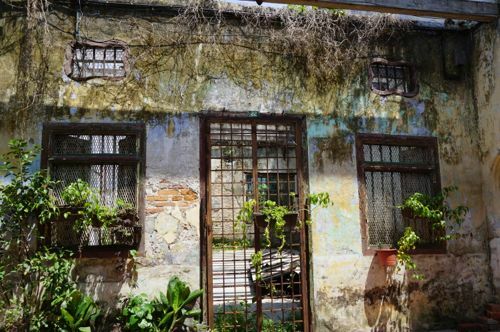 Visitors will have the opportunity to witness the kitchen, bedrooms, casino, and even opium room all in the old settings. There’s even a section in the backyard for a nice photo session. 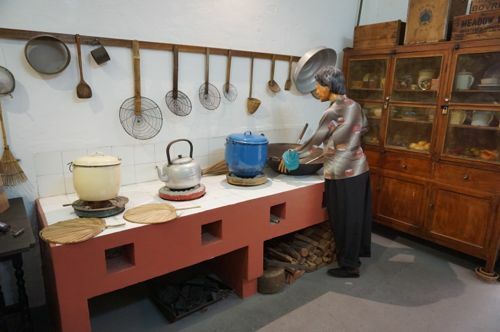 Visiting Chin Han Pet Soo is a great way to learn about the history of the Chinese migrants (especially Hakka) who came to Ipoh as tin miners and how they settled down. The exquisite villa is run and managed by Ipoh World. TAKE NOTE: As mentioned before, Chin Han Pet Soo doesn’t accept walk-ins. 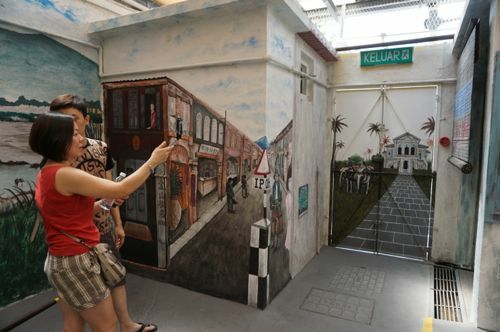 Before visiting, one has to make reservation to join one of the guided tours provided by the management. The guided tours are 9:30am, 11:30am, 2:30pm on weekdays. On weekends, 9:30 am, 10:00am, 11:30am, 1:30pm, 2:00pm, 3:3-pm. Each guided tour lasts for one hour and a half and maximum of 20 persons for each session. Entrance is free but donation is welcome at the end of the tour. Address: 3, Jalan Bijeh Timah, 30100 Ipoh, Perak, Malaysia. 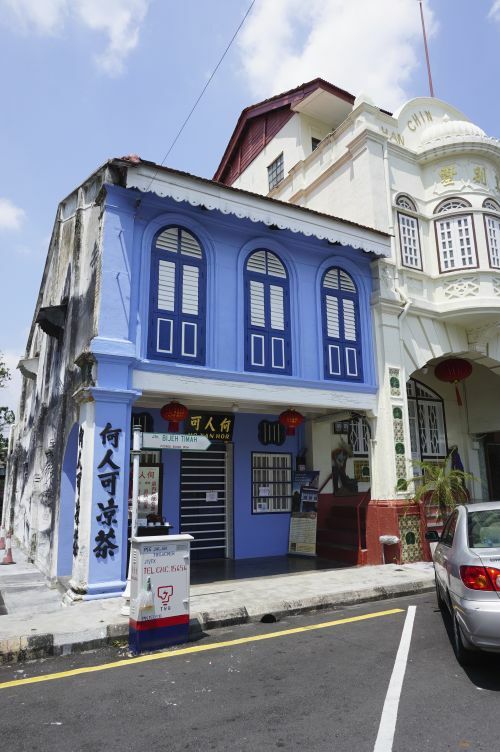 Since it is located immediately next to Chin Soo Pet Soo, the Ho Yan Hor Museum caught my attention and tempted me with its eye-catching cornflower blue facade. I fell in love with its theme color and stepped in to enquire. I was pleasantly surprised that one of the staff gave us the permission to visit the newly minted museum. The museum was first opened to visitors on 16 January 2016 (officially launched later on 30 April). 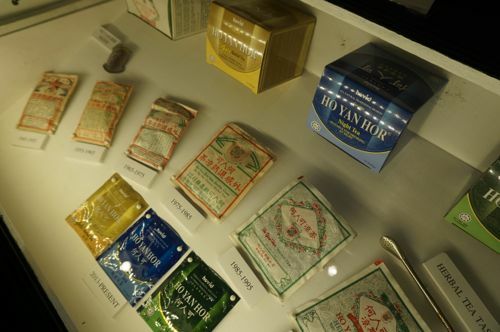 The pre-war building turned museum was formerly the shop for the now famous Ho Yan Hor herbal tea. 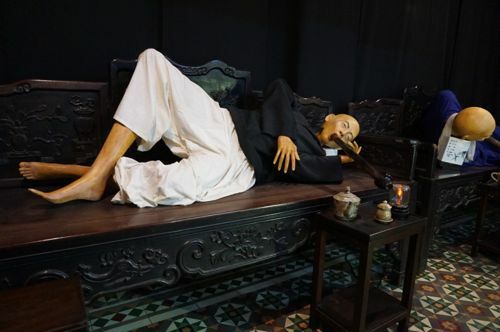 It was also the family home of Ho Yan Hor founder, Dr Ho Kai Cheong. 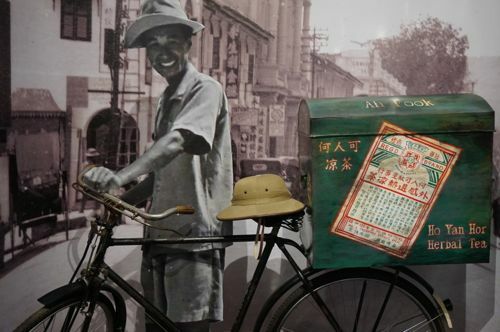 The museum is set up to commemorate the struggles and achievements of Dr Ho and evolvement of Ho Yan Ho products since it started in 1941. 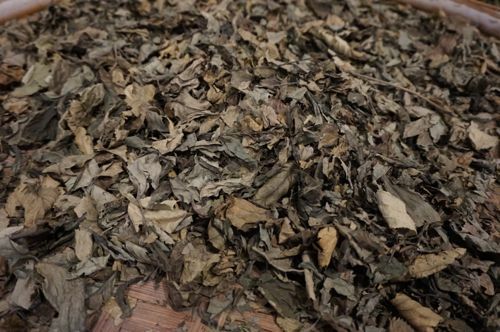 The story of how it turned from a small herbal tea stall to what is today a huge conglomerate named Hovid that sells pharmaceutical products. 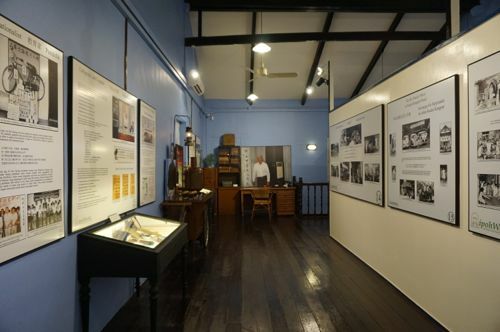 The museum also offers visitors glimpses into the personal life of Dr Ho. 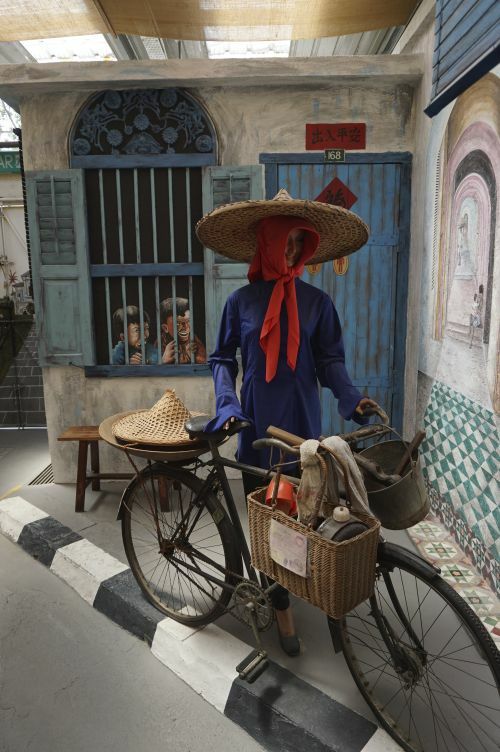 It’s an excellent way to learn about the company that forms part of the history of Ipoh. At the end of the self tour, one will be offered some tea for tasting. If you like, you can take home Ho Yan Hor tea (3 varieties to choose from) for own consumption or as gifts and be part of what Ipoh people are proud of. One more thing, before you leave, check out the huge mural on the side wall of the museum outside. Again due to its vicinity to Chin Han Pet Soo and Ho Yan Hor Museum (just opposite these two places), we walked over to Concubine Lane. The name may sound awkward but there’s a story behind it. 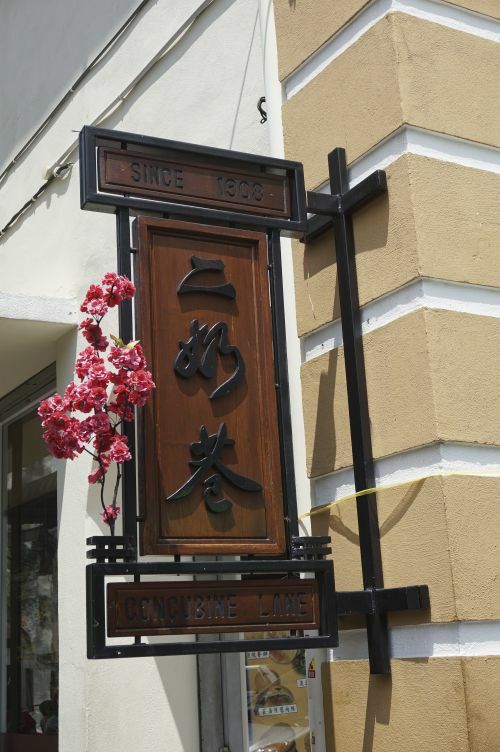 I am told Concubine Lane used to be rental properties for his concubine owned by one wealthy man in Ipoh. Hence, the name. I heard of the place mentioned many times on travel sites and I wanted to check what the lane was about. To be frank, the place is no more than selling cheap China-made toys and souvenirs, food and drinks. It took us less than 30 minutes to stroll this about 100 meters long lane. Though I find it touristy but one place I was advised to check out was a restaurant named Wong Koh Kee but it was closed then. It was super crowded back in Kong Heng Coffee Shop when we were at Concubine Lane. We decided to go to Gunung Rapat for late lunch since most of us were not hungry yet. 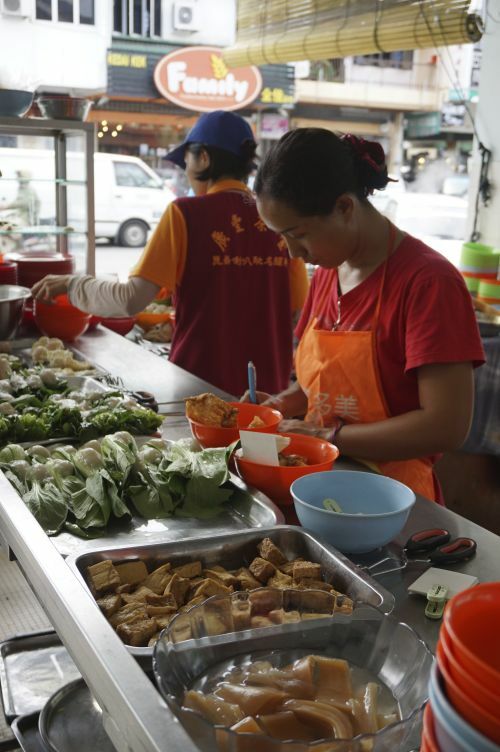 From my research, this eatery is famous for Yong Tau Foo (vegetables stuffed with fish paste). To go with these, get a bowl of noodles. Your noodles can be served in plain soup, dry, or in curry soup. This dish is common among the locals. 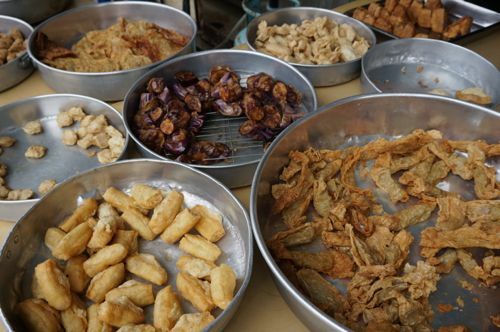 They eat it round the clock and they call it “liew.” You have a choice of either Yong Tau Foo or deep fried foodstuff or both. I like the soup which is plain with a tinge of sweetness. The prices are highly reasonable. 684, Jalan Besar, Gunung Rapat, 314500 Ipoh, Perak. Opens from 12:00pm to 5:00pm. Closed on Mondays. 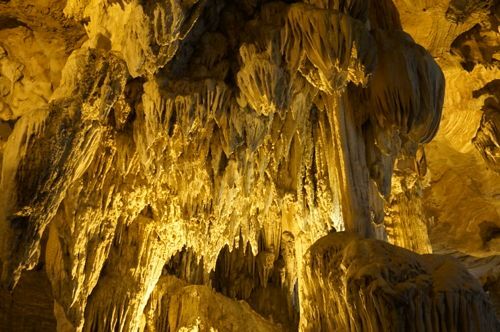 It’s one of the famous caves in Ipoh and Kek Look Tong is only a short distance from Kedai Kopi Kwong Hong in Gunung Rapat. 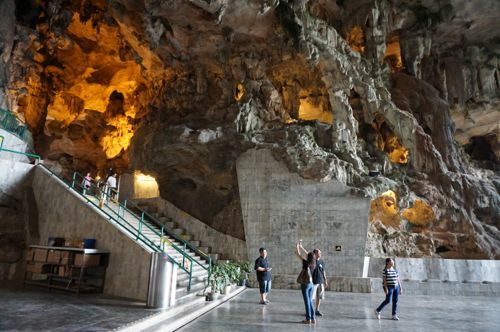 The majestic limestone cave houses a Buddhist temple. 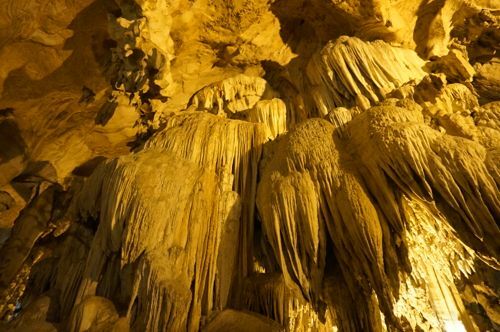 It is not only big in size but the stalactites and stalagmites found in the cave are just majestic and breathtaking. It’s even grander with it’s yellow lighting, the feeling is like you have stepped in a 5-star hotel. 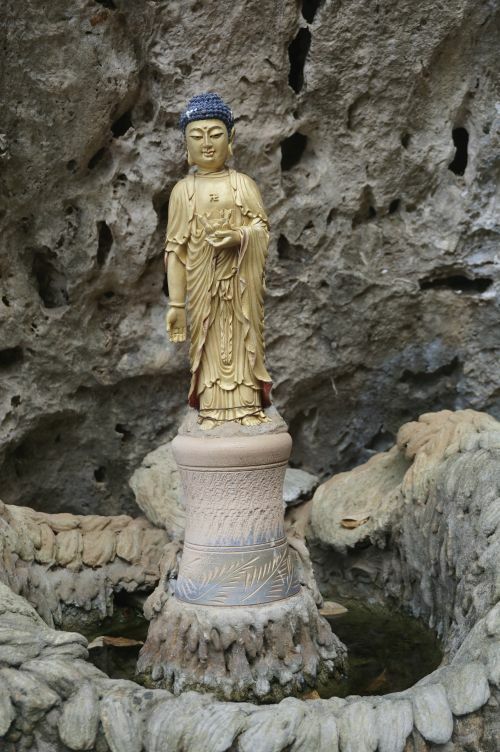 As you walk toward the end of the cave and thinking nothing else to be seen, you’ll be surprised to see a courtyard – just like a sky well you find in any home but many times larger with a well maintained garden. Many locals walk and run around the garden. 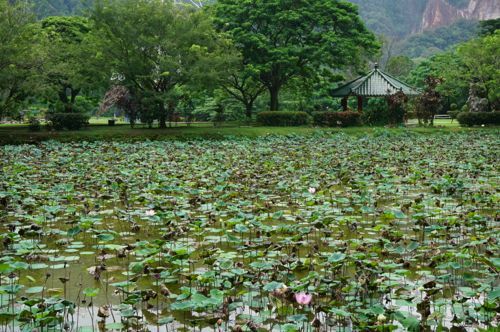 While you’re there, check out the lotus pond too. The beauty and serenity of Kek Look Tong are hard to miss. To reach the cave, you will need to pass through a residential area and it’s located on the skirt of it. It’s advisable to use a GPS to go there. I had never heard of this temple until I did research for this trip. 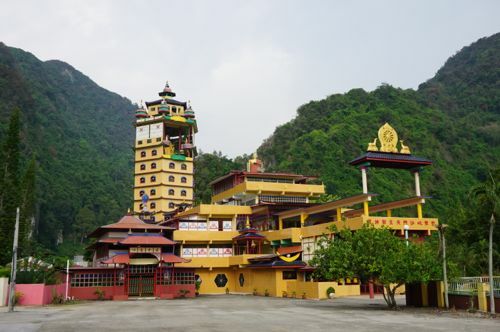 Enlightened Heart Tibetan Temple is claimed to be one of the largest Tibetan temples in Malaysia. The temple has a huge compound and it’s not easy to miss it as the buildings have many striking colors of gold, red, blue, and green. Before you embark on a trip there, make sure your driving skills are up to par as you need steer on a narrow road cutting through a small village. Jalan Ampang Baru 6, Off Jalan Ampang, Tambun, 31400 Ipoh, Perak. We had dinner at Tuck Kee Restaurant in Pasir Pinji before driving home. The food there is superb and satisfactory.